Our mentors are friendly, experienced Perl 6 developers who will help teach you new techniques and tricks. Perl 6 is a clean, modern, multi-paradigm language; it offers procedural, object-oriented AND functional programming methodologies. It is a supremely flexible language, adapting to your style of programming, whether that be quick one­liners for sysadmins, scripts to manage a database import, or the full stack of modules necessary to realise an entire website. Perl 6 enhances Perl’s long­term appeal with a proper object system including roles, threading and multi­method dispatch. It has spent a long time coming to fruition and has learned from other programming languages, building on their success and learning from the issues of the past. We believe Perl 6 is a language that will last for decades as it has been conceived to adapt to future trends and is flexible in its usage with other languages. Perl 6 learns from other languages. For instance: taking threading from Java (simplified to a handful of methods); Foreign-function interfaces from Lisp make accessing libraries as simple as one line of code. Regular expressions are now turned up to 11 with the introduction of Parser Expression Grammars, which let you tackle huge parsing tasks. Strictures and warnings are now automatic, cutting out huge swathes of potential errors. Perl 6’s mottos remain the same as Perl: “Perl is different. In a nutshell, Perl is designed to make the easy jobs easy, without making the hard jobs impossible.” and “There Is More Than One Way To Do It”. Now with even more -Ofun (optimized for fun) added. 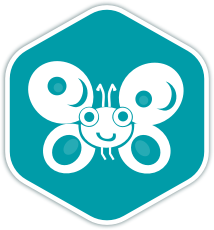 Once you join the Perl 6 language track, you will receive support and feedback from our team of mentors. Here are the bios of a few of the mentors of this track. A Perl 6 enthusiast who loves the language for its combination of power, conciseness, and flexibility. These are a few of the 30 exercises on the Perl 6 track. You can see all the exercises here. The Perl 6 Maintainers are the brains behind the Perl 6 Track. They spend their spare time creating interesting and challenging exercises that we can all learn from. We are incredibly grateful for their hard work. Here are the bios of a few of the maintainers of this track. My first adventure in coding was creating userscripts by trial and error (many errors...). Somewhere down the line I accidentally found myself employed in my first coding role as a Perl developer, after attempting pair programming in Haskell. Get started with the Perl 6 track. As with everything on Exercism, it's 100% free!